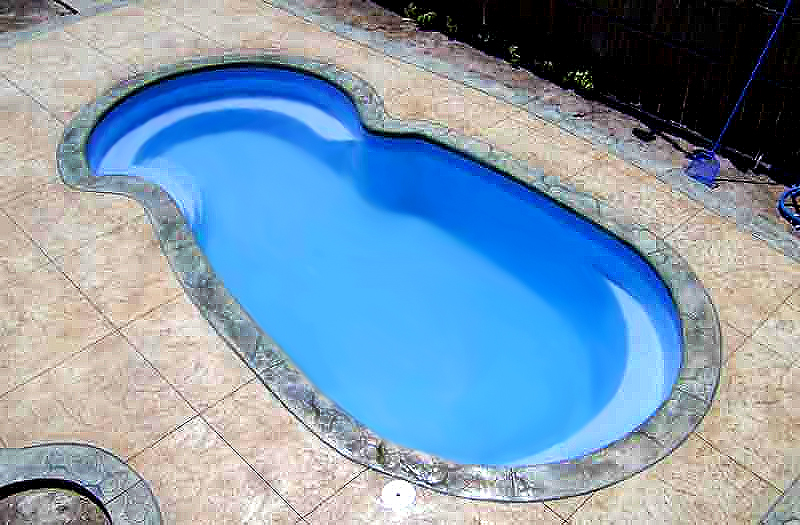 Sea Swirl 24 - 12' x 24' x 3'6"-5'6"
The design of the Sea Swirl fiberglass pool model is based on the idea to create a lagoon-like experience by designing a figure-8 shaped pool. 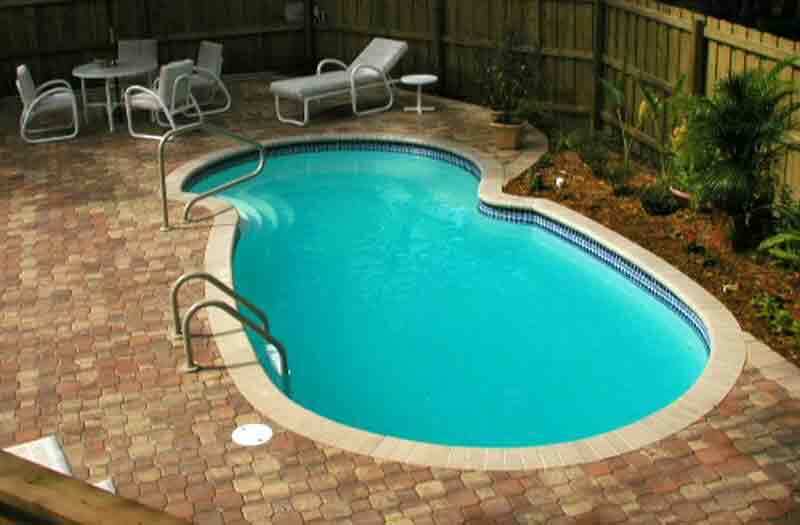 Its design flows with gentle curves, making this inground pool a delight to landscape around and will transform your backyard to a free-flowing wonderland. 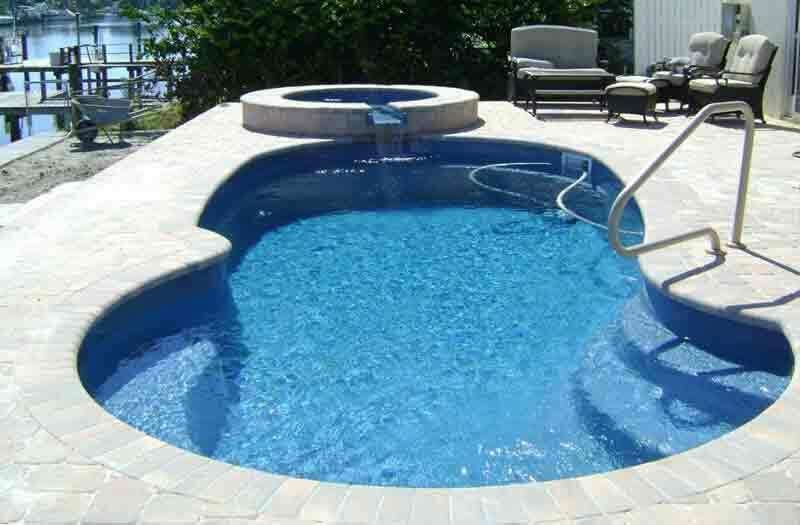 It offers 3 built-in curvilinear steps and built-in seat line on the narrowed side as well as a built-in seat line across the deep side. 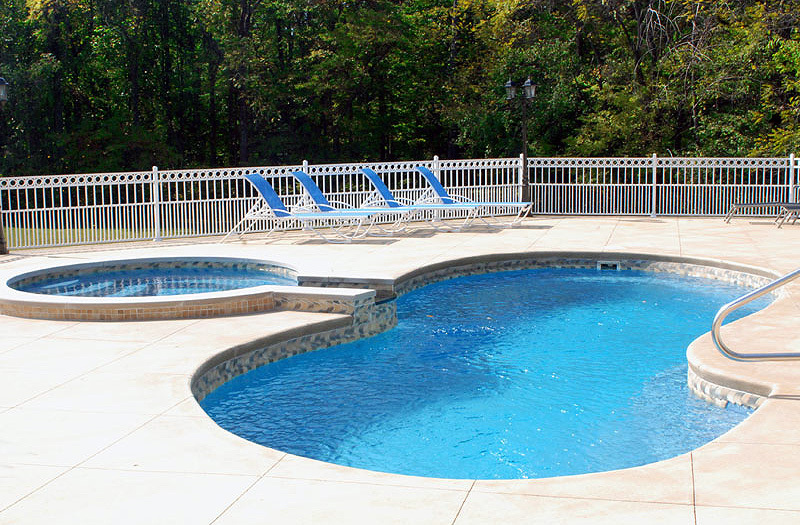 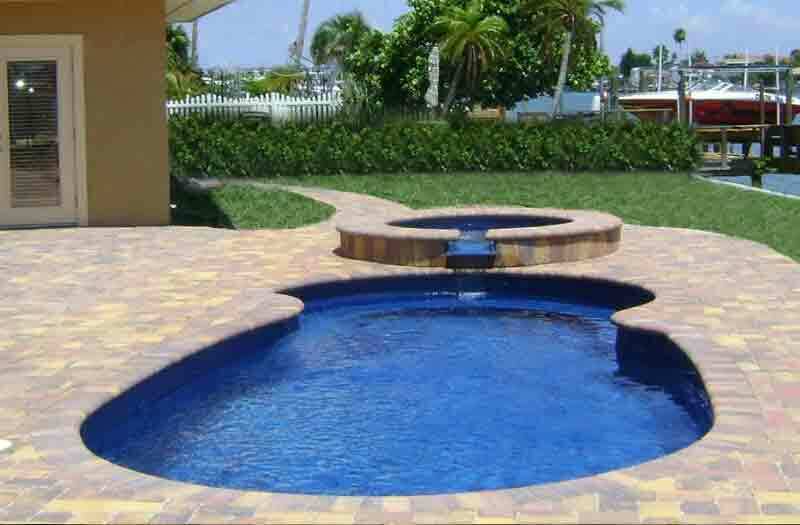 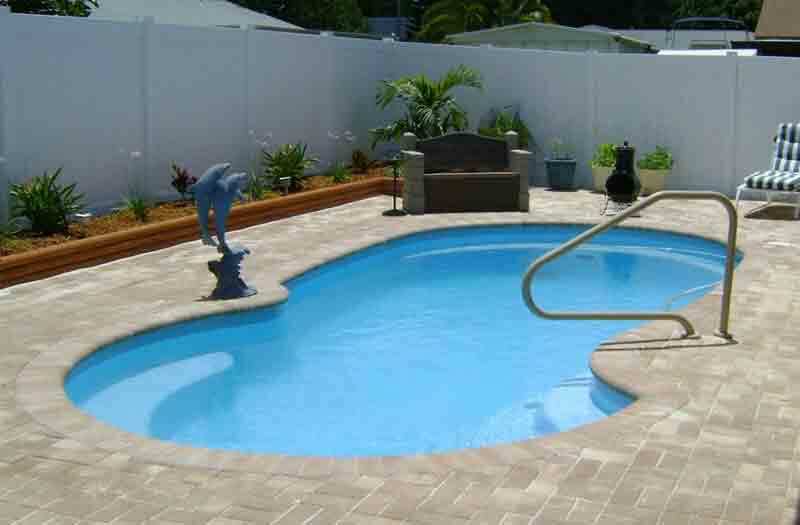 The Sea Swirl is very popular for its size, appearance, and low maintenance cost. 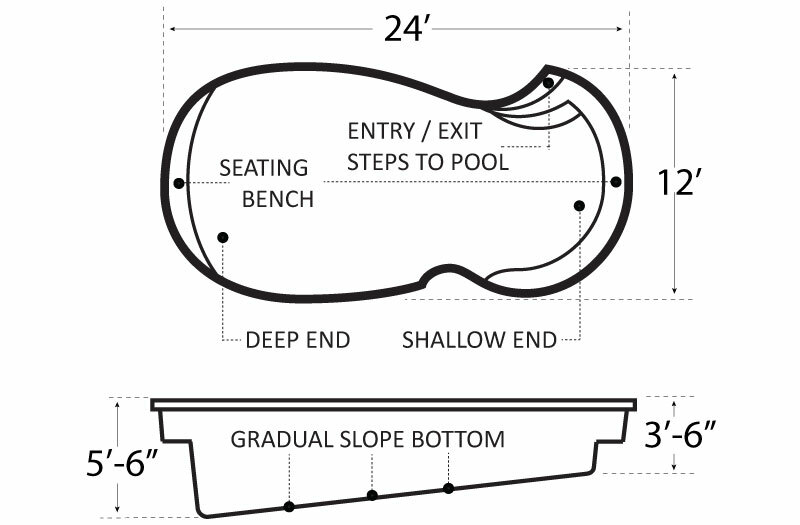 The dimensions of this model are 12' wide, 24'6" long, and slopes from 3'6" to 5'6" deep.